Two persons were Thursday arrested here for allegedly indulging in betting on 'Big Bash league' matches. Two persons were Thursday arrested here for allegedly indulging in betting on ‘Big Bash league’ matches. A police team nabbed Sikandar N C and Shivraj Singh from an apartment on Abids Road in Hyderabad while they were accepting online cricket betting through cell phones from known and unknown punters for the league, a police release said. Four cell phones and Rs 1.45 lakh were seized from their possession. 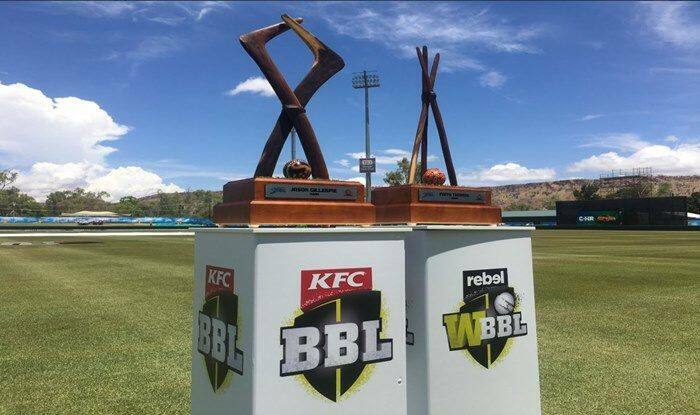 The Big Bash League is an Australian professional Twenty20 cricket league.